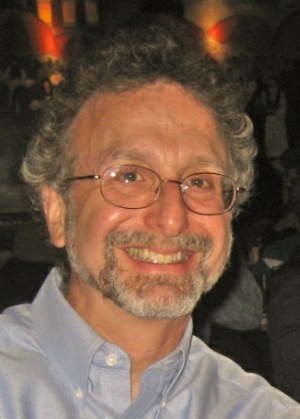 “German Jewish Genealogy: A Case Study” will be the topic of a presentation by Dennis Aron at the Sunday, April 17, 2016, meeting of the Jewish Genealogical Society of Illinois. The JGSI meeting facilities at Temple Beth-El will open at 12:30 p.m. to accommodate those who want to use or borrow genealogy library materials, get help with genealogy websites or ask genealogical questions before the main program begins at 2 p.m. For more information phone 312-666-0100. In his presentation, Dennis Aron, an experienced genealogist, will provide an overview of his genealogy efforts, including his first conversations with family elders, results of a letter to the baron of his grandmother’s home town requesting information; his visits to Germany for research, memorials and award ceremonies; the over 1,200 family members he has documented as murdered or lost in the Holocaust and his research into family members around the world. Aron will also share tips on networking with other researchers and the use of original vital records as well as some specific research recommendations. He will describe the benefits of GerSIG, the German Special Interest Group of Jewishgen.org; his experience in placing memorials to his mother’s family in their home town; and will share stories on some interesting family members he discovered, both notable and notorious. A native Chicagoan, Dennis Aron’s 36-year career with a large bank included assignments from information systems to banking corporate business development. Now retired, he and his wife travel frequently to Boston and Seattle, where their grandchildren live. Their vacation travel has frequently included Germany, where Aron’s family is from. He has researched his family for over 30 years, more intensely now in retirement. He has spoken on his family history research to an Oakton Community College class on the History of the Holocaust, the Illiana Jewish Genealogy Society and the Jewish Genealogy Society of Illinois. He has written articles for Morasha, the quarterly publication of JGSI. He is a member of JGSI and GerSIG and volunteers at the Skokie Public Library to help community members with genealogy questions.